Just a single data point, but I’ve only had one wiring failure on my Sky Arrow. I was not impressed with the soldering job done - the wire was just soldered to the side of the terminal. When I built Heathkits, I was taught that solder should never be trusted to provide support, just continuity. In any case, it looks like the failure was similar to what the Professor warned about: solder wicked up into the wire strands, rendering the wire less flexible and leading to the failure. Is it possible to simply crimp the two wires to a single spade connector and then attach it to the B+ blade on the connector? 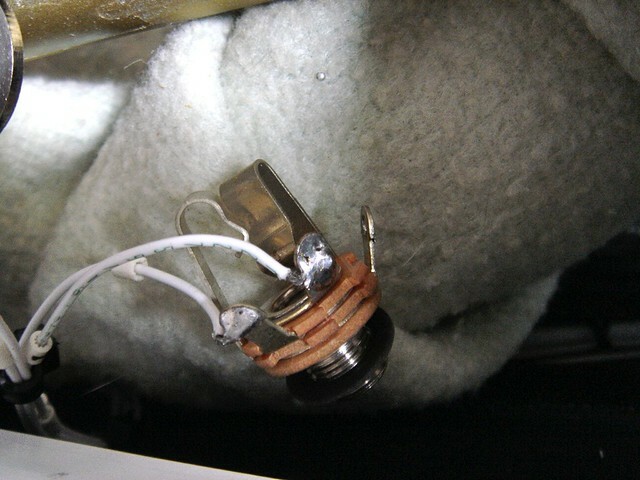 Electrically this is the same, though you might need to use a connector that could accept a larger wire size, and I'd certain solder after crimping to insure a good bonded connection and use heat-shrink sleeve on it for support. There might be some reason this is a no-no, though I can't think of what it might be. I admit to having fairly meager skills relating to electrons and their flow. The other option is the piggy back terminal. It allows two spade connectors to slip on to one terminal one on top of the other instead of side by side. This is just one option, there are a dozen variations but you get the picture, right? Here's the NASA document on soldered connections. The takeaway is that all soldered connections must be properly supported. Thanks, I have seen items like that, and in fact I think that's similar to what Eddie used. I just was looking for a cleaner installation without the large connector, which is why I wanted to crimp both wires to a single spade connector. The only potential downside I see to doing that is that you'd have to separate the two wires again if you went back to a factory R/R unit. Or maybe not, since the two connectors connect internally anyway...you could probably just leave one of the connectors unwired. Eddie's was a side by side version and I thought you were looking for something more compact. This keeps them one on top of the other and more compact in width. You of course can crimp them both into a yellow spade connector and it'll work just fine. And yes, they are internally connected inside the Ducati regulator.